Important Update: Thank you @Sfwafa @iNaif_ @waleedalzuhair for sending me a screenshot that proves that the SambaMobile iPhone app is official. It is very weird that the Samba Bank call center employees did not know about the app. You can only see this page if you logged in though. Nothing on Samba’s public site about their iPhone app. 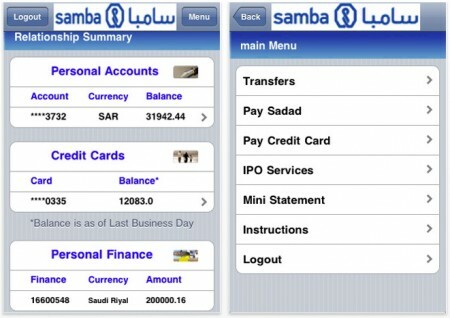 The Samba Financial Group, a bank in Saudi Arabia, has released their iPhone app last month. The app is called SambaMobile and it offers a range of services including mini-statements, transfer funds, pay utility bills using SADAD, pay credit card bills and IPO services. 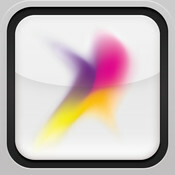 The app was first release July 27th 2010 and it is free. 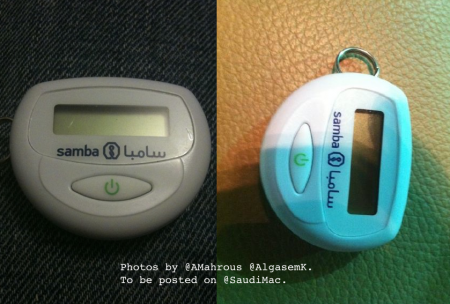 Thanks Mohamed Ahmed for telling me about this app also thanks Khaled AlGasem and Abdulhafeeth Mahrous for sending pictures of the Samba security-token device. 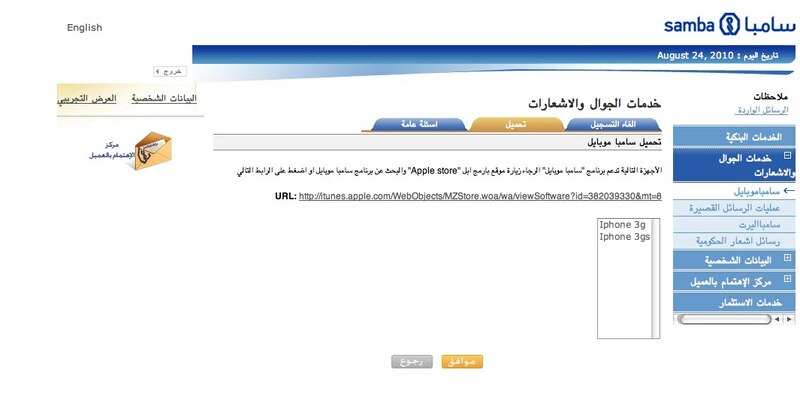 Dev Team Arabic contacted Samba Bank and the bank said they don’t have an iPhone app. There is an update to the dev team page saying that the app is safe for Samba clients..
to be honest , they just need SR 70 that to use app you have to haveÂ Samba security token . right now i’m using Bank of America app, it is free and easy not like samba everything u have to pay .